Seniors often struggle with mental tasks such as multitasking, clear thinking, and planning. These are complex skills that require an agile mind in order to function properly. Brain games have long been a popular suggestion for seniors to use to keep their minds sharp and agile. But among all the suggestions, which ones are really worth paying attention to? It’s more important to engage in new and novel tasks than to engage in repetitive behavior. Instead of playing the same game over and over, play a different game every day or every few days. If one day you play Sudoku, the next day try a memory game. Novel tasks will also help to keep the mind sharp, and learning new skills can be great for this. Research supports the idea that learning a new language is an excellent way for seniors to improve complex skills and keep their minds sharp for a longer period of time. But if learning a language doesn’t appeal, there are many other skills to try, such as knitting, dancing, musical instruments, or even writing a book. Senior discounts are sometimes available for such classes at local community or senior centers and libraries. When discussing mental agility, many people don’t think about the importance of exercise, and specifically aerobic exercise. But our brains need aerobic exercise to perform at their best. Cardio exercises encourage blood circulation in the brain and delivers necessary oxygen. Walking, dancing, running, aerobics, yoga, tai chi—if the exercise gets your heart pumping and your blood flowing, it will help increase the blood flow and oxygen heading toward your brain. 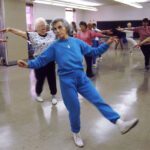 Seniors should be careful not to overdo an exercise and do what they are able to do, but physical activity is more important to a healthy and agile mind than any brain game. A social life may be difficult for some seniors to manage, especially if transportation is an issue, but even a conversation over the phone is helpful. The key to this tip is to stay connected to others and socialize regularly. The conversations help to exercise the brain, and the sense of connection to others also helps reduce the release of the stress hormone cortisol, which has a negative impact on brain function and memory over time. brain, brain games, community, connection, elderly, exercise, geriatrics, language, memory, mind, senior care, seniors, social, Sudoku. Bookmark. March is National Kidney Month. Are Your Kidneys Healthy?